Each year, our church sends out volunteers to serve in mission ministries that may take us to other states or even other countries. Our teams build new homes with Habitat for Humanity, repair existing homes, pack relief supplies, visit orphanages, share the Gospel, and most of all endeavor to share the love of God, which we have experienced, with the people we encounter. It is a great time for building memories and friendships within our missions teams and learning practical and spiritual life skills. Sterling United Methodist Church is excited to send out members of our congregation of all ages who want to be available to be used by God to connect others to Him. Short-term missions are one way to step out of your own comfort zone and dare to be something more than you can be on your own. You will be challenged, you will grow, and you will make a measurable difference in someone else’s life – whether it is here in our own community, in another state here in the USA, or in another country. In prior years our congregation has supported missionary volunteers to Jamaica, Costa Rica, the Czech Republic, Austria, Ohio, North Carolina, South Carolina, and Louisiana Since 2014 we have supported missionaries to the rural Appalachian region of Kentucky. In 2016 our Youth Choir went on a mission tour of the Northeast United States, sharing their musical talents and God’s love. Recent teams have traveled to Atlanta to work with the homeless population there and to Louisiana to work with UMCOR (United Methodist Committee on Relief) at their relief supply depot which sends supplies to distaster regions all over the world. 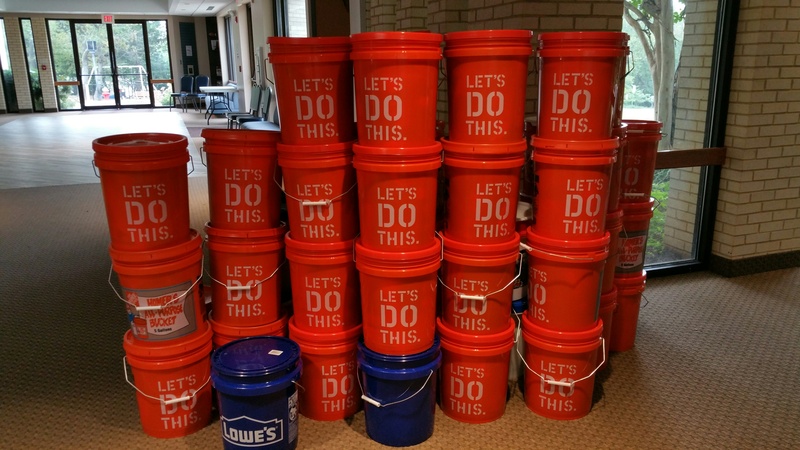 In order to fulfill a desire to respond quickly and effectively in times of disaster, the United Methodist Church has established Early Response Teams (ERTs). ERTs are specially trained by the United Methodist Volunteers in Mission (UMVIM) and the United Methodist Committee on Relief (UMCOR) to offer a Christian presence to those who have experienced disasters. Our Early Response Team (ERT) is trained, equipped and ready to respond quickly after disasters in our own community or within 500 miles of Sterling. We have served after Tornadoes in Georgia, Hurricane Sandy in Maryland, and the Derecho storm here in our own community. As United Methodists, we support the United Methodist Committee on Relief (UMCOR) as they care for communities throughout the world that have undergone both human and natural disasters. We gather together kits for Annual Conference to be sent throughout the world. 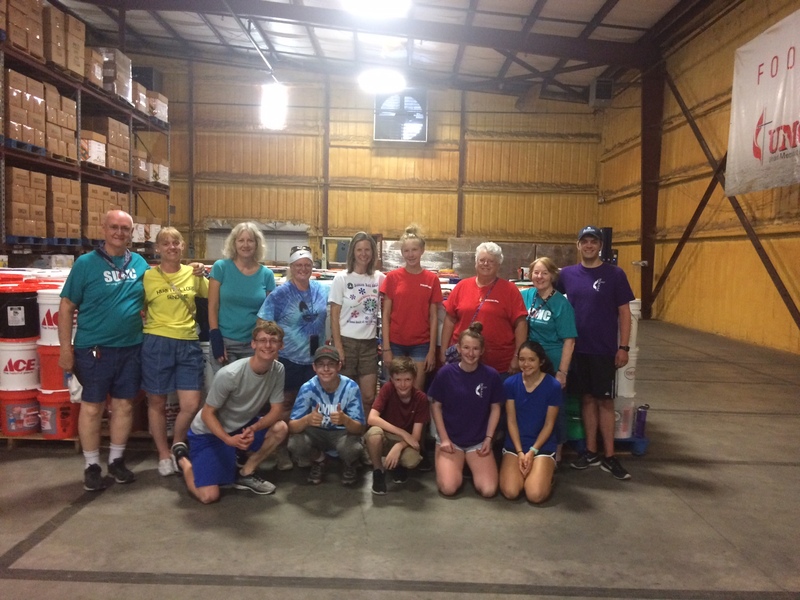 In addition, we send a mission team to the UMCOR Sager Brown warehouse in Louisiana each summer to package the relief supplies for distribution. For instructions on how to prepare kits, please click here. Each October/November we support Samaritan’s Purse’s “Operation Christmas Child” program, which gives Christmas blessings to children around the world. Pick up a shoe box and an instruction label in the church narthex. Fill it with small gifts for a boy or a girl, and return it to the church. It’s a simple way to make a big difference to a child in another country! Samaritan’s Purse shoe boxes will be available between mid-October and mid-November. The boxes are shipped world-wide in time for Christmas. Our United Methodist Women (UMW) are active in missions both locally and globally. Mission service is a central tenet of the UMW, and our women have claimed this mission joyfully. To find out more about what our women are doing in mission, please click here.